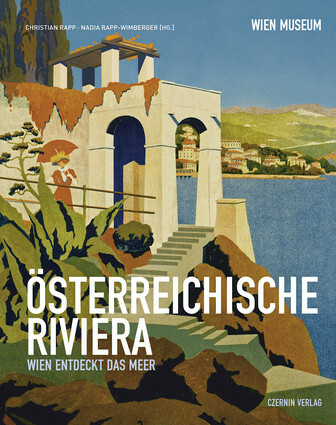 The museum of the city of Vienna ) currently organizes an exhibition on the “Austrian Riviera. Vienna discovers the sea” on how the Viennese and with them the upper and middle classes discovered the Adriatic in the 19th century. 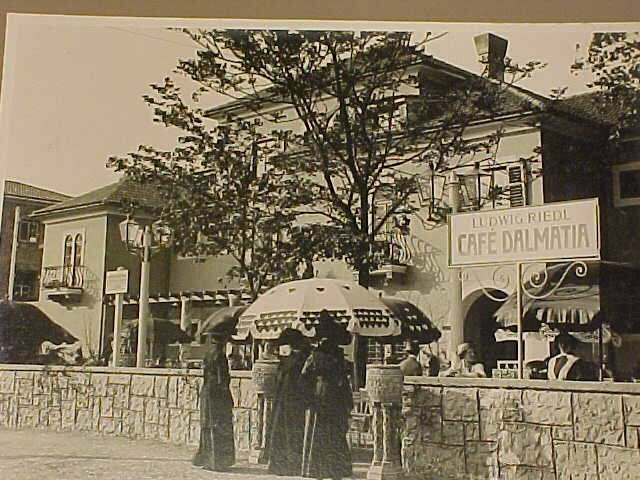 While the exhibit mainly focuses on the prime destinations of the late Habsburg elite—Abbazia (today’s Opatija), the Brioni islands and the northern Adriatic, Hvar is also mentioned, especially Hygienische Gesellschaft Hvar and Hotel Elisabeth (today’s Hotel Palace). After the Südbahn, the southern train line from Vienna to Trieste opened in 1857, a journey that took days was cut down to around 12 hours (not much slower than the same journey today). The Adriatic became for the first time accessible for a wider number of visitors from Vienna and elsewhere in the Habsburg Monarchy. 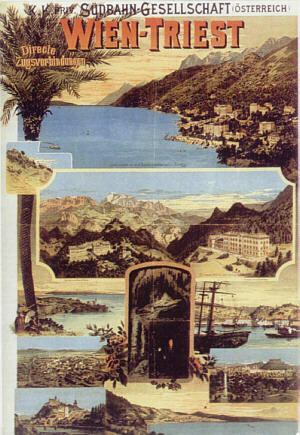 The train line coincided with the beginnings of modern tourism and—as the exhibition explores—the first visitors mostly came in winter, traveling alone for health purposes, only a few decades later summer tourism emerged and upper-middle class families traveled for the summer to the Adriatic. After arriving in Trieste or later Rijeka, the tourists traveled onwards to Hvar and Stari Grad and elsewhere by steam boat. To make the new destinations attractive, they took their names from the Western Mediterranean that had already developed tourism: the Adriatic coast came to be known as the Austrian Riviera and Hvar as the Austrian Madeira. The exhibition includes old time tables, paintings, objects, and photos. Old bathing suits and cartoons remind the viewer that women and men bathing together was controversial at the time. This is a fascinating exhibition that provides for a great journey into the past when the Adriatic was “discovered” and tourism had its beginnings. It is a pity that the exhibition did not reflect more on how this “discovery” fit into the larger identity of the Habsburg Empire. Graham Robb wrote a few years ago in his Discovery of France how infrastructure and tourism were part of the nation and state building process—train lines “shrank” the country and allowed citizens to discover “their” country. The title of the exhibition in Vienna—the “Austrian Riviera” suggests a similar process in the Habsburg Monarchy, but the main challenge here is the diversity of the country. 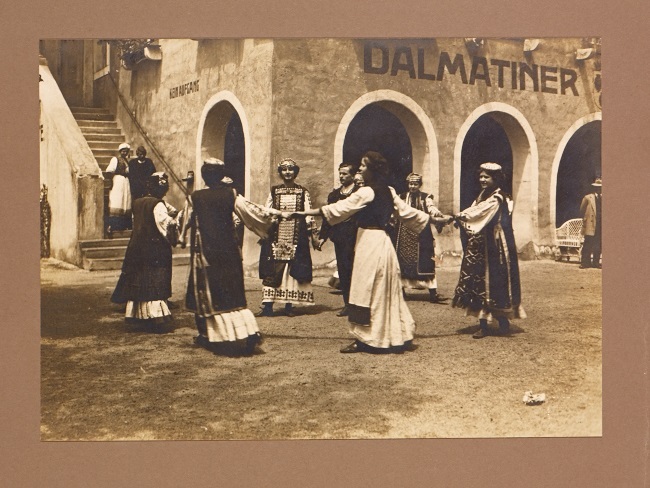 The exhibition shows how the different traditions of Dalmatia were a source of exoticism and thus the appeal of the journey, but the growing political demands of Croats, Italians and Serbs of Dalmatia, however, were rather a threat for the Monarchy. The timing for the exhibit is perfect: exactly 100 years ago, on the eve of World War One, Vienna celebrated the Adriatic with the Adriatic Exhibition, a kind of early theme park complete with a mini replica of Venice and the rector’s palace of Dubrovnik. Over 2 million visitors visited Dalmatian villages, steam boats, slide shows of the journey. Thus those who could not afford the trip to the South could (pretend to) escape the capital of Monarchy for the day. There is also an impressive and very detailed catalog available accompanying the exhibition. The exhibition will run until late March 2014 at the Wien Museum (1040 Vienna, Karlsplatz 8). Further details here.